Are you new to blogging or planning to start a blog soon? I remember when I was starting out, I struggled to find the right blogging resources and blogging tools to run my blog. There were too many options out there, and I almost got confused. I decided to write this post so that I can share the blogging resources and blogging tools I use on Sproutmentor.com. I have used and tried these blogging resources or blogging tools mentioned in this post. Therefore, I hope that this post will help you narrow down those many options into one of the best blogging resources you can use to manage and grow your blog. This a must-have blogging resource, which I use to manage files in my blog. This blogging resource is one of the most popular content management system (CMS), which allows me to create posts, pages and other types of content for my blog. It has a wide ecosystem of plugins to choose from. It is famous (it powers more than 33% of the websites on the web) and trusted by many users. It is free meaning that I do not pay anything to use it. It is beginner friendly because you do not need any coding expertise to use WordPress. You only need to learn are the basics. It has a wide range of themes (both free and paid), which you can use to beautify its appearance. Anybody who operates a WordPress blog knows that WordPress plugins are must-have blogging resources. Yoast SEO: I use it to optimize my blog posts for SEO. Autoptimize: It minifies and concatenates code and theme files, which makes my site load faster. W3 Total Cache: It improves the caching of files, which boosts the speed of my blog. WordFence Security: It protects my blog from virus and malware attacks. Bloom: I use it to create beautiful optin forms for email marketing. Monarch: I use it to add social sharing, and social follow buttons on posts and other pages on my blog. Akismet: Use it to manage spam comments and blog them from harming my blog. Table of Content Plus: I use it to add a TOC to my blog posts to improve navigation. Pretty Links: I use it to manage my affiliate links. JetPack: I use it to add related posts below my blog posts. MonsterInsights: I use it for Google analytics. Redirection: Use it to create redirects when I change URL. Smush It: I use it to optimize my images for SEO by resizing them. 404 Page: I use it to create custom 404 pages for my WordPress blog. Any blog will require three main blogging resources to operate: domain name, hosting and a platform. For this blog, the domain name is sproutmentor.com, and I already mentioned above that the platform or CMS I use is WordPress. For hosting, I use SiteGround, and it one of my best blogging tools I use every day. This is my number one WordPress hosting company because of the following reasons. Recommended by bloggers and online entrepreneurs I follow. Their support team is experienced, reliable and fast. They offer managed WordPress hosting and other WordPress blogging tools and resources. They have the best speed records in the industry. Every WordPress blog needs a theme to operate. Divi theme from Elegant Themes has been my number one WordPress theme and blogging resource I cannot blog without. It is a blogging tool, which makes designing beautiful pages and posts possible with zero coding expertise. It comes with the powerful Divi builder, which enables me to build beautiful layouts through drag and drop of content modules. It has a wide range of tutorials and resources. It ships with 180+ premade templates. The Divi library saves me time. It can easily be translated into 32+ languages. When you purchase Divi, you gain access to 87 themes and plugins from Elegant themes. Divi is a responsive and multipurpose theme. Divi has a vibrant and supporting social media community, especially on Facebook where you can get any help you need. The Divi code is secure. This is my number one email marketing service provider, which has helped me to grow my email list subscribers. Other email marketing service providers include; AWeber, GetResponse, and Mailerlite among others. Convertkit is a must-have blogging resource for me because of the following reasons. Convertkit is simple to use and was created by a blogger for bloggers. It saves time because all tasks are performed from one dashboard without moving a series of multiple steps. I can organize my email list subscribers in Convertkit through tags and segments, which makes sending relevant information to all easier. It gives you analytics for everything. I use it to create beautiful landing pages and sign up forms for my blog. Blogging can be time-consuming, and in most cases I always find myself having too much work than the available time. As a blogger, you can use social media to grow a brand quickly. However, spending lots of hours on social media is not possible because you already have too many tasks on your schedule. For this reasons I love using a social media scheduler, such as Smarterque to help me out with social media posts when I cannot manage. Its dashboard is easy to use. I use it to find/curate content from bloggers I follow. It helps me to re-queue and repeatedly shares evergreen content without manually posting it on social media over and over again. It provides analytics for your account’s performance on social media. Their prices are completely affordable in comparison to other social media scheduling tools in the market. Buffer is another social media scheduling tool I use together with Smarterque. I use Smarterque to manage four social media profiles and the other four I use Buffer. 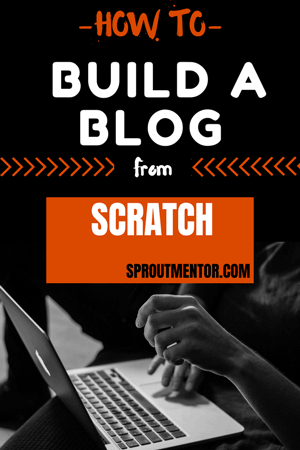 This fantastic tool is free, and this makes it one of my best blogging resource. The two help me to keep my social media active during holidays or when I am busy during the day and unable to post frequently on social media. By now I know you have already heard that Pinterest is the primary source of traffic for many bloggers. I agree to that because I get a decent amount of traffic from Pinterest so far, especially now I have not begun to get any Google traffic. To manage Pinterest, you need the right Pinterest tools, such as Tailwind which is the tool I use to schedule my pins. Tailwind is easy to use, and I love it because it has helped me to grow my Pinterest account faster in two months. It is beginner friendly because you do not need any coding expertise to use WordPress. You need to learn are the basics, and you are good to go. I use this bogging resource for designing images for my blog, Pinterest account, and other social media profiles. I love this blogging tool because it has many templates I can use to create any design, which saves me time. Canva is also very easy to use, and it is free. I use this blogging resource to edit my images in the following ways. Resize, crop and perform all forms of editing on images. Save images for the web version in a manageable version. Photoshop is an offline software, which makes it a convenient blogging tool I can use even without any internet connection. I use this fantastic blogging tool for screenshot capture and screen recording. I love it because I can annotate images and also resize them before uploading them to the web. This blogging resource is easy to use and has a wide range of customizations you can use to improve your screenshots and video captures. I also use Jing from TechSmith for screen capture. This is the website I use to get free stock photos, images, and graphics to use in my blogging. It is a must-have blogging resource for me because my blog posts and Pinterest account needs images daily. I also use UnSplash, Pexels, and Shutterstock to find beautifully styled stock photos, which makes my blog more appealing. Images and graphics are a must-use in blog posts and social media profiles. However, most images are too large, and if you upload them directly to your blog without resizing or optimizing them, they will slow it down. You do not want to have a slow blog because it reduces your conversions and increases bounce rate. This is where this fantastic blogging tool comes into play. Similar to Photoshop and Smush It WordPress Plugin, it helps me to compress PNG images and reduce them into smaller sizes for the web without losing their quality. I love it because it enables me to compress multiple images at the same time. This extension will add metrics to every keyword you search on Google, YouTube, Amazon, Askthepublic and other sites. I use it as a blogging resource to find the right keywords for my blog posts. These two posts: How to research keywords and Keyword research for Google guide will give all tips and tricks on how I use this extension for keyword research. I use this blogging resources to get metrics on page authority, domain authority and linking domains for results in search engines. This blogging tool helps me to find the right sites for link building by helping to analyze sites that rank on Google results. I use this Chrome extension to store my passwords. Remembering 20+ passwords is such as an impossible task for most of us. Luckily, blogging tools like this one make the process easy because it will store all your passwords safely and auto-fill them when you visit the login page of all sites saved in the directory. Broken links can easily harm your SEO and even discourage readers from visiting your blog. I use this useful blogging resource to test links in my blog to identify any broken or invalid link as early as possible. All links, which are excellent and valid will be marked with red and the invalid or broken ones with red as shown in the image below. This clear distinction makes it easy for you to find the broken links easily, especially in a long post. You can also use this fantastic blogging tool to find broken link opportunities from your competitor’s blog, which you can use for building backlinks to your website. Sometimes when I am browsing through the web daily, I encounter amazing articles, posts and other forms of web content. In instances where I have limited time to read those resources, I save them for later reference using this amazing blogging resource. I can the visit pocket later when I have time and read the resource at the most convenient time. I use this extension when I need to perform quick edits on images I share to my social media profiles, especially Facebook and Twitter. This blogging resource is simple to use and has several templates, which saves me the struggle of starting from scratch. It useful when you want to create quotes to share on social media. This is a blogging tool, which makes bookmarking easier. It helps me to add notes as I continue to work on daily tasks online. The advantage is that you can even download it and use it offline on your phone or PC. Finding the latest posts on the niches I write on is made more accessible by Feedly. Using this fantastic blogging tool, you will be able to discover any post written by your competitors immediately after they publish them on their blogs. This method helps me to keep discovering new blog post ideas and learn every single day on this blogging journey. I use this tool for keyword research and SERP analysis of websites that rank for those keywords. It is a paid keyword research tool, but you can make use of the five free daily searches. I love it because you can quickly add filters to your search, which helps me to find the right keywords in the shortest time. Also, it will help me to get the SEO difficulty for every keyword, which allows me to choose less competitive keywords I can easily rank for on search engines. These two posts: How to research keywords and Keyword research for Google guide will give the best tips on how I use this extension for keyword research. You can find keyword suggestions through Google autocomplete and relayed searches. Google console and Google analytics can help you to discover keywords your audience is interested in most. Google keyword planner will help you in keyword research. Google insights and Google trend will help you to find the right keywords trending in the market. This blogging resource comes to importance when you want to find keywords for your blog posts. It will help you find the right long tail keywords for your blog and online business products. It will also help you to discover the questions the public have on a given issue, which you can use to turn into blog posts. A unique keyword research tool you can use to choose the best keywords for your blog. I love this blogging resource because it will give you accurate metrics for every keyword. It will also give you suggestions and an opportunity to analyze your competitor’s keywords. Most people assume that Pinterest is a social media network when in a real sense it is a search engine. People use keywords in this platform to find information, and you can take advantage of this. Using Pinterest guided search, you can find the right keywords in the shortest time possible. Google analytics will give you data on who is visiting your site, their demographics and behavior when they get to your blog. For example, you will know which posts generate more traffic from your Google analytics, which will help you to write better such content. Speed is essential for any online business website or blog. If your site loads with more than 3 seconds, your bounce rate will increase because people are not patient to wait for slow sites to load. For this reason, this blogging tool is vital because it will help you to monitor the speed of your site. Other website speed test tools you can use include, Pingdom and Gemtrix among others. All your blog visitors will not use one device to access content on your blog. Some will use mobile phones, tablets, and others desktops. This fantastic blogging resource will help you to test your blog looks appealing and responsive in all those devices. It helps you to adjust fonts to meet the standards of all those screen sizes without putting away your website visitors. Alexa will help you to know how your blog is performing in a global rank when compared to others in the same niche. It will also help you to compare different competitors and know why they are ranking and performing well in the market. You can then borrow these tips to improve your blog performance too. You can also use this blogging resource to find keywords you can rank for easily. This blogging tool will help you to perform an SEO audit on your blog. It will analyze all technical aspects of your blog and give you a detailed report on your on the page and off page SEO factors. Similar to Woorank, this tool will help you to audit your blog. 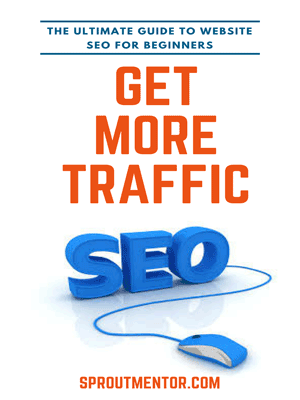 It will give you a report on your site performance, SEO, security and mobile friendliness. It will also give you recommendations for improvement which makes it even more appropriate for your blog or website. This fantastic blogging resource will monitor your site uptime and notify you when it goes down. You can use this blogging tool to test if your hosting service provider can is reliable or not. If your blog keeps experiencing too many downtimes, it could be time for you to consider changing hosts. Use this blogging tool to transfer files to and from your website from other remote places or directly from your computer and other offline devices. It is a blogging resource that will help you to manage files in your website root folder. This blogging tool will help you to track your website visits conversions. It will help you to discover your most clicked pages and posts. In turn, you can use that information to upgrade those posts for them to continue referring more traffic. It will give you visitor alerts and sales conversions notifications. It will also collect demographics and other audience characteristics of your blog visitors, which you can use to improve the functionality of your blog further. Use this blogging resource to write error-free posts and also make sure that you do not have any plagiarism on your content. It is said that people share blog titles and headlines because most people will share an article with an interesting topic without even reading it. Use these blogging resource to write better headlines for your blog posts so that you can increase your conversations and click-through rates. Typing on a word document or any other offline software can be frustrating sometimes, especially when the power goes out before you save the document. These documents also fill up your hard drive and slow down your machine eventually. You can save yourself all those troubles by using online writing and editing tools provided by Google in their Google Docs suite. The advantage of using Google Docs software is that they can easily be shared anywhere online as a link. As a blogger, you have too many tasks to complete daily. You can quickly forget some if you do not carefully keep a productivity journal or to do list. This fantastic blogging resource will help you to manage all your tasks in one dashboard so that you cannot forget any. Time is a valuable asset, especially for a blogger because you have too many tasks to complete daily. This fantastic blogging tools will help you to track your time and minimize usage on non-important aspects. Sometimes as a blogger, you will run out of title ideas. You can use the inspiration and suggested by several tools like this one to write better titles for your blog posts. This blogging resource will give you five title suggestions for every keyword you enter on the search box. HubSpot Blog Ideas Generator is also another tool you can use for this same purpose. Use it to time your email so that they can get opened by the recipients. Also, use this blogging tool to schedule and send out emails to all your targets the right way. It will also identify the mistakes in your email, grade it and provide suggestions for improvement. Use this blogging resource to “hunt” or find email addresses of your backlinks targets. Another tool you can use for the same is Hunter. Use this blogging tool to track unlinked mentions and the type of content which gets more shares and backlinks. Once you identify the best performing content, you should aim at writing better content so that you can easy backlinks easily without begging for them from other people. A vibrant tool that will help you to identify backlink opportunities. It will give you a platform you can use to reach influencers and connect with them directly. Once you build a good relationship with these influencers, you can quickly earn backlinks from them faster. Affiliate marketing is a quick method you can use to make money online. The easiest way to do that is join affiliate networks like this one and others, such as ShareASale, FlexOffers CJ Affiliates, and ClickBank. Another way to make money with your blog is through joining ad networks. You will get paid by those networks based on the clicks or impressions the ad gets on your site. 7 ad networks you can use to earn more than $2000 monthly. Use this blogging resource to create, host and sell online courses. It is a leading platform used by many bloggers, and you can easily integrate it with other platforms. Are you planning to create an e-book soon in your blog? This is a blogging tool you can use to market and sell your Ebooks. Use this blogging resources to create attractive landing pages and sales pages. This is easy to use, affordable and has a wide range of templates, which makes it one of the best blogging tool for bloggers. Find unlimited blog post ideas and questions your audience ask in your niche using this blogging resource. You can also use it for marketing and traffic generation purposes. Discover new articles immediately they are published on the web through this blogging resource. You can also use it to track your mentions and posts conversions. Facebook groups have high engagement and participation activities. Therefore, finding the right Facebook groups can easily skyrocket your blog traffic in a short time. 5 Facebook Groups for new bloggers. Use this platform to find niche-specific communities and understand your audience. The questions asked in this platform most are the answers your target audience is looking for. Use this blogging tool to find trending topics, which you can transform into blog posts. The 12 Week Year: Get More Done in 12 Weeks than Others Do in 12 Months. This is a platform you can use to find better-priced courses on any subject. I have benefited from several courses on this platform, such as the complete digital marketing course. One of the most popular blogging course around. You will get lifetime access to communities, resources and a network of bloggers who will give you the best tips you can use to grow your blog. 40 online business ideas that will help you to make $100 daily. You are most welcome. Feel free to reach out for more help you might need.